Game of Thrones Season 6 Clips Revealed! 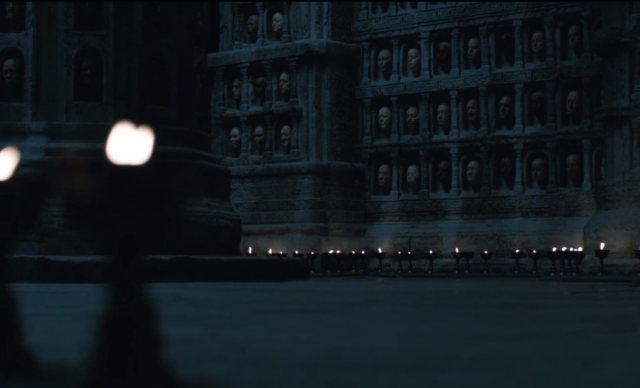 Three Game of Thrones Season 6 Clips Revealed! Following the full new trailer earlier today, HBO has released three Game of Thrones Season 6 clips which you can watch below! The episode was written by executive producers David Benioff & D. B. Weiss and directed by Jeremy Podeswa. Based on the popular book series “A Song of Ice and Fire,” by George R.R. Martin, the hit Emmy-winning fantasy series chronicles an epic struggle for power in a vast and violent kingdom. The ensemble cast for the fifth season included Emmy and Golden Globe winner Peter Dinklage, Nikolaj Coster-Waldau, Lena Headey, Emilia Clarke, Aidan Gillen, Kit Harington, Diana Rigg, Natalie Dormer, Maisie Williams and Sophie Turner. Former “Deadwood” star Ian McShane is also set to guest star in Game of Thrones season six. David Benioff, D.B. Weiss, Carolyn Strauss, Frank Doelger and Bernadette Caulfield are the executive producers. The co-executive producers are Guymon Casady, Vince Gerardis and George R.R. Martin. Game of Thrones season five began with a power vacuum that protagonists across Westeros and Essos were looking to fill. At Castle Black, Jon Snow struggled to balance the demands of the Night’s Watch with those of newly-arrived Stannis Baratheon, who styles himself the rightful king of Westeros. Meanwhile, Cersei scrabbled to hold on to power in King’s Landing amidst the Tyrells and the rise of a religious group led by the enigmatic High Sparrow, while Jaime embarked on a secret mission. Across the Narrow Sea, Arya sought an old friend while a fugitive Tyrion found a new cause. And as danger mounts in Meereen, Daenerys Targaryen found that her tenuous hold on the city requires some hard sacrifices. Set for ten new episodes, Game of Thrones season 6 will debut on HBO Sunday, April 24.